Forget about avocado, blueberry and kale. 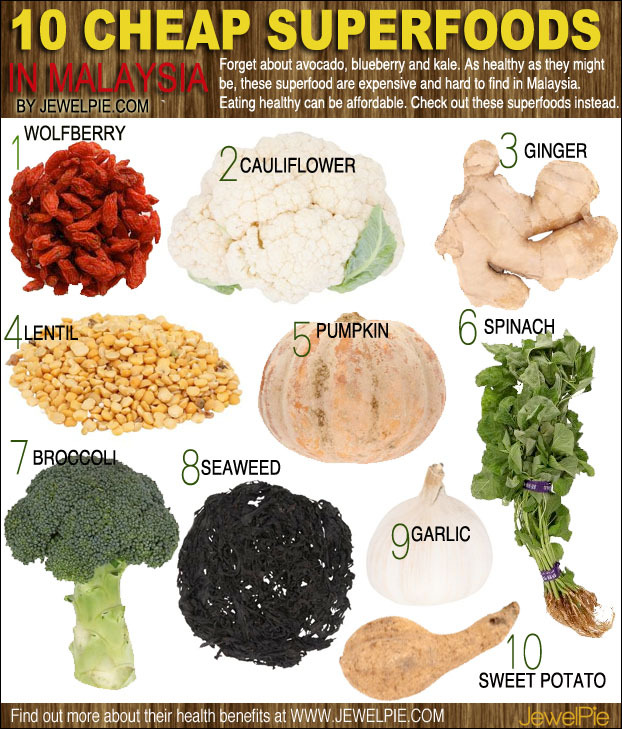 As healthy as they might be, these superfood are expensive and hard to find in our supermarkets. Eating healthy can be affordable. We have plenty of local food that are nutrient-dense too. 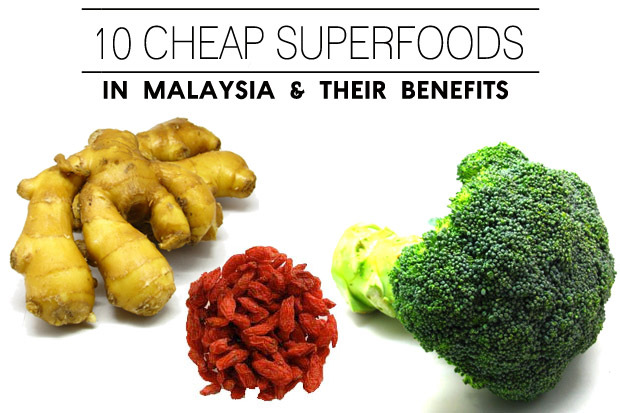 Here are some affordable superfood you can find in Malaysia. Cauliflower is a rather underrated vegetable which possess a high nutritional density. It’s low in fat, but high in dietary fibre, folate and vitamin C (source). On top of that, this cruciferous vegetable has cancer-figthing compound called glucosinolates (source). Ginger is not just food, it’s regarded as medicine. This rhizome has been used for years as an all-natural remedy for upset stomach, nausea and constipation. Try our ginger ale recipe! Also known as dhal, lentils are high in protein, iron and other essential nutrients. They are low on the glycemic index (GI) which cause blood sugar to spike less quickly than other starches. This allow your energy to last longer (source). This orange gourd contains lutein and both alpha and beta carotene. The latter helps generates vitamin A in the body which helps with our vision and skin. (source). Popeye’s favourite food is packed with calcium. Just one cup of these dark green vegetable helps you achieve 12% of the recommended daily dose of calcium and sufficient vitamin K to help maintain bone mass (source). This green vegetable is packed with vitamins, minerals and fibres. As a member of the cruciferous vegetable family, it has cancer-fighting property. Broccoli has outstanding levels of high levels of folate and vitamin C.
Use widely in Asian food, garlic can help reduce cholesterol and regulate blood levels. BBC reported that garlic can help prevent and fight the common cold. So if you think you’re getting a flu, pop a few extra cloves in your stir-fry vegetable or soup. This starchy, sweet-tasting root vegetable is rich in complex carbohydrates, dietary fiber and beta-carotene (a provitamin A carotenoid). When compared to other food, sweet potato ranked highest in nutritional value (source).